Spring is taking off and so are we. Instead of hibernating, the DSA has been cooking up some new stuff during (a very short Dutch) winter for all of you. And watch it, it is served steaming hot. That’s right, every month free drinks and free thoughts for startups. Join us on Tuesday May 21 from 7pm - 9pm for our very first monthly DSA Meet Up. Location TBA! Meet the DSA Board, connect with other startups and scale-ups, share your challenges, learn from others and pitch your products. We will share more details soon. TIP: Block every 3rd Tuesday of the month for our monthly Meet Ups to keep in touch with the DSA community. Next Meet Up after our first one: June 18! New deal for startups: Join the DSA for only 12 euro! This is the offer startups can’t refuse. If you’re a startup you can now join DSA for just €12 for the first year. After the first year regular rates apply. Planning on going to TNW next month? Tickets to conferences don’t come cheap. but we’ve got you covered. The normal fee is €649. The start-up fee is €299, but DSA members pay just €199. Best rate in the market. Yes, also for brand new members: Join us now for €12 and get the TWN discount as a welcome gift. You just earned €88! We’ve got you for a treat. On June 26 we will put the Dutch start up scene on a well-heated BBQ for our first official Start Up Roast. This is definitely an event not to be missed. So block your calendar and we’ll get back to you within a couple of weeks with the programme and location. There it is. No more excuses to not join the DSA. Since the beginning of 2019 we have been looking for new partners. 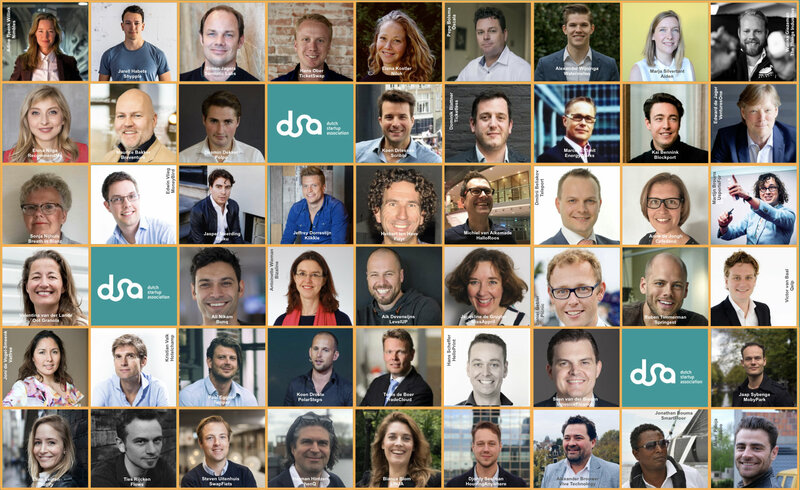 In March, StartupAmsterdam, Health Valley and Braventure joined us. Besides our new partners, we are also excited that our Founding Partner Google will continue their support! Wanna partner up? Drop us a line.. The main reason we're on earth is that we want Dutch politics and policies to be more startup minded. We want the Netherlands to be the Start Up State of Europe. One of our policy priorities is to make it more attractive for startups to pay their employees in stock options. Our board member Lucien Burm was on national TV in January to address this to the current State Secretary Mona Keijzer. For all political updates we invite members to join our politics channel on slack. Let Samir Saberi know if you want to join! Next month there will be a debate in the Dutch Parliament on startup policy. Read our open letter to the MP's! Founder and ambassador Rogier Klimbie recently visited the Bay Area. He wrote a blog on what the Dutch ecosystem can learn from Westcoast USA. Well worth a read! Meet us on May 21!